I get bored with things pretty easily. That is a problem when it comes to my phone covers. Let me just say that I have had my iphone for about 6 months now and I have done 4 different things to the phone cover now. Well, I have to say, my newest one is by far my favorite! 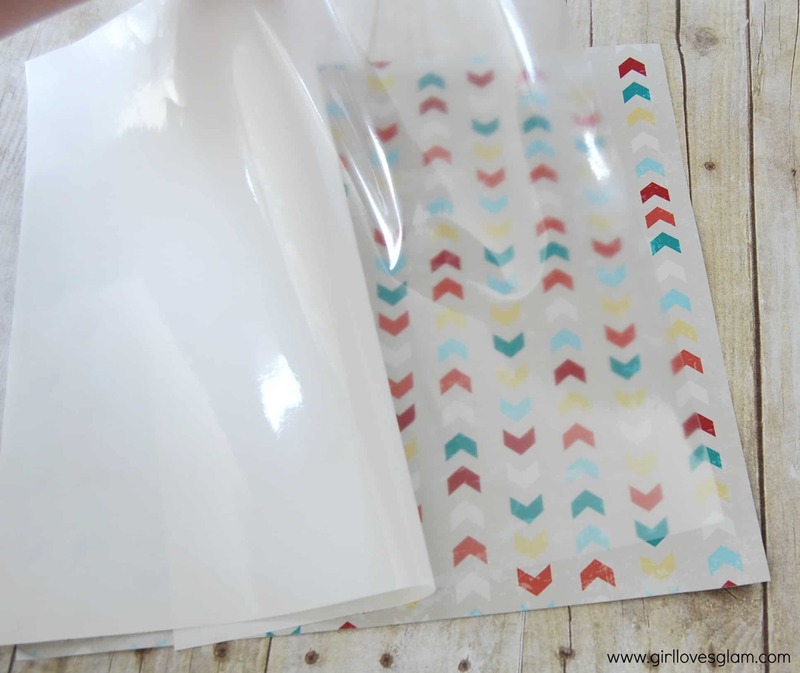 First, you want to put your laminate over the patterned vinyl. This will help protect the pattern to keep it from rubbing off. Lay your phone on the vinyl to measure how big of an area to cut out. 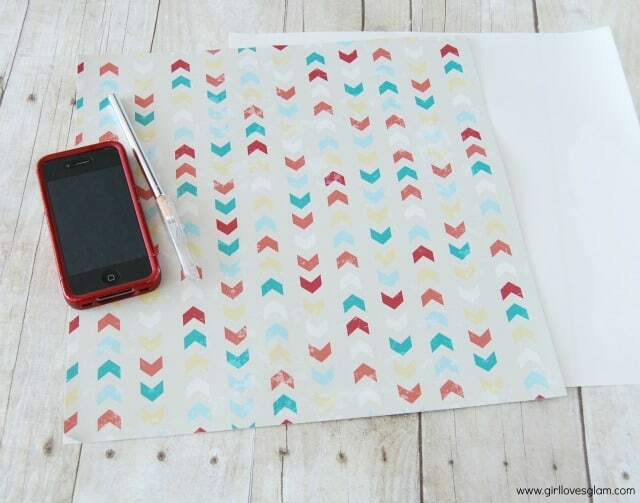 Cut the vinyl around your phone with scissors. 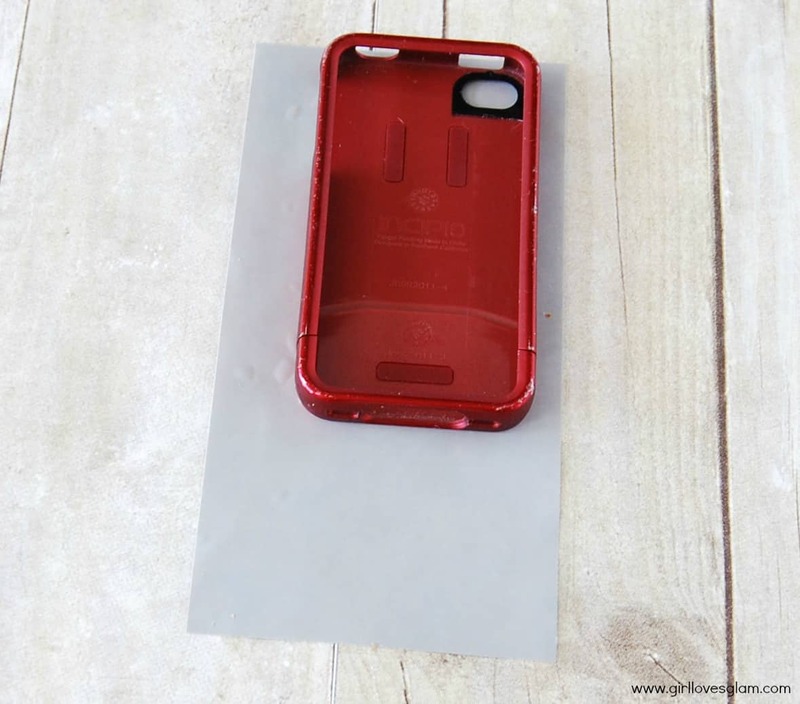 Take the phone out of the case and stick the phone onto the vinyl. Carefully use the knife to cut around the edges of the phone. Don’t forget to cut out the camera hole too. I had made this vinyl to go along with my business cards and I wanted to sport it on my phone. 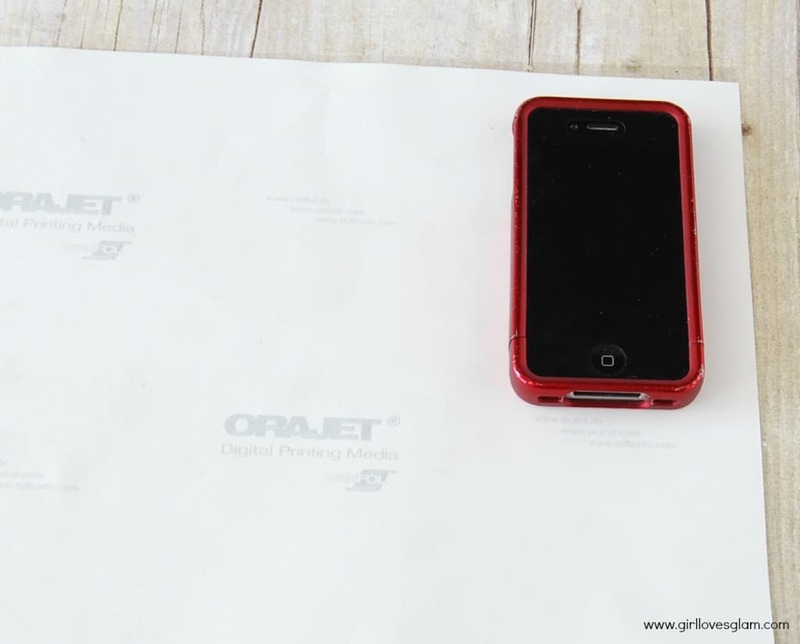 You can design your own quote or design with your vinyl cutting software and personalize your phone too! 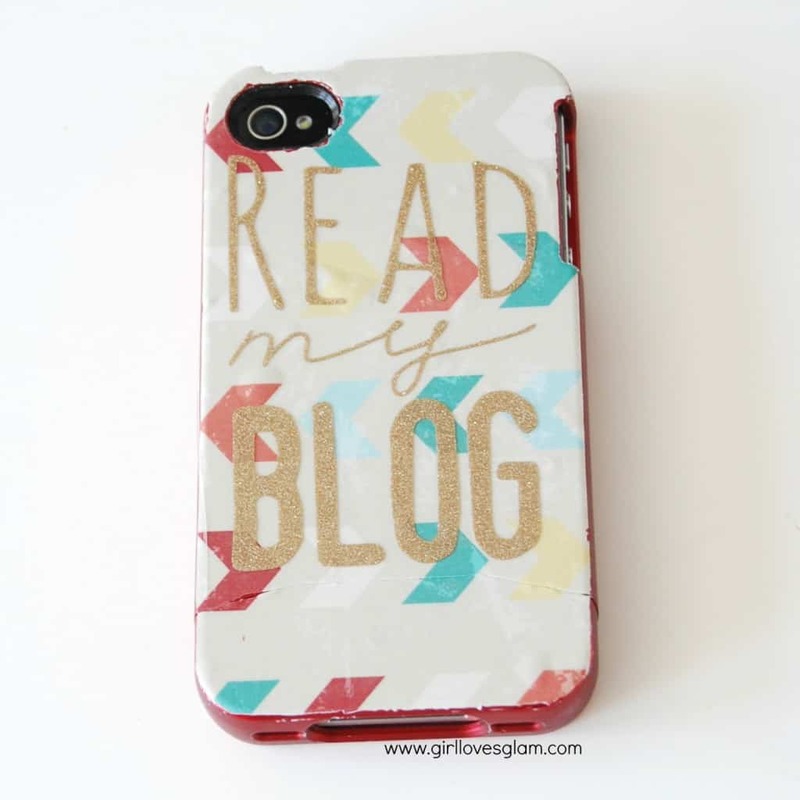 Using vinyl on your phone cover is a great way to update it as trends change and is much less expensive than buying a new phone case! 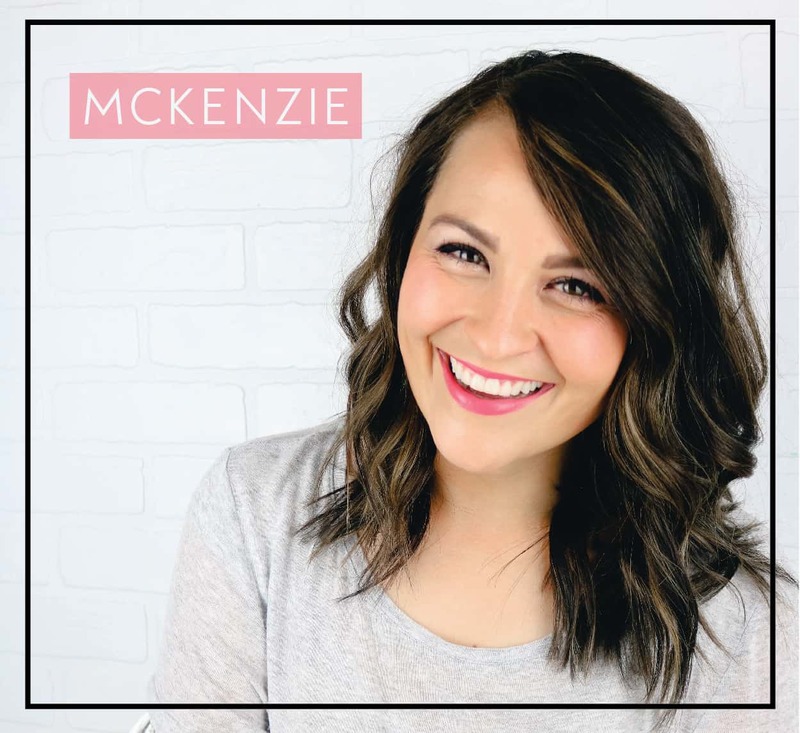 Cute, Kenz! You know I have a history of some reeeeally bad phone covers 🙁 This one could save me! Love it! Obsessed with arrows too!! Love the iPhone case 🙂 My friend is terrible with her cases, she buys a new one almost every week! So cute! I have 3 iphone cases that I rotate on a regular basis, but ‘m always looking for more! Thanks for sharing! 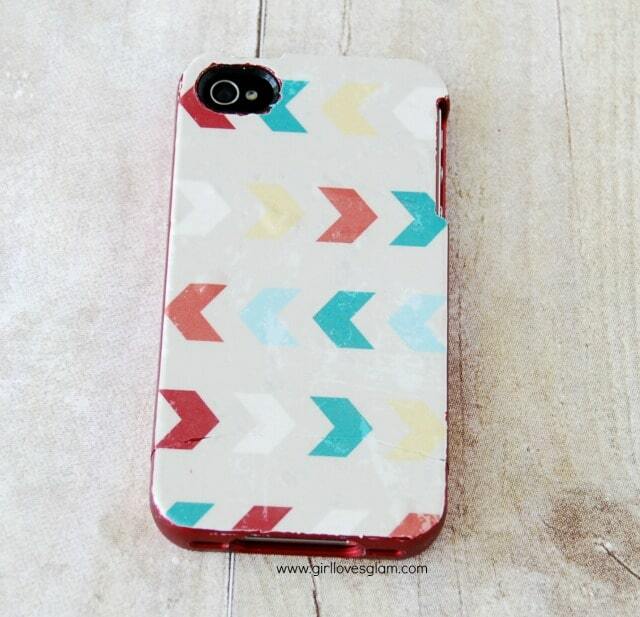 Love the arrow pattern you did! Very fun case! This is genius! 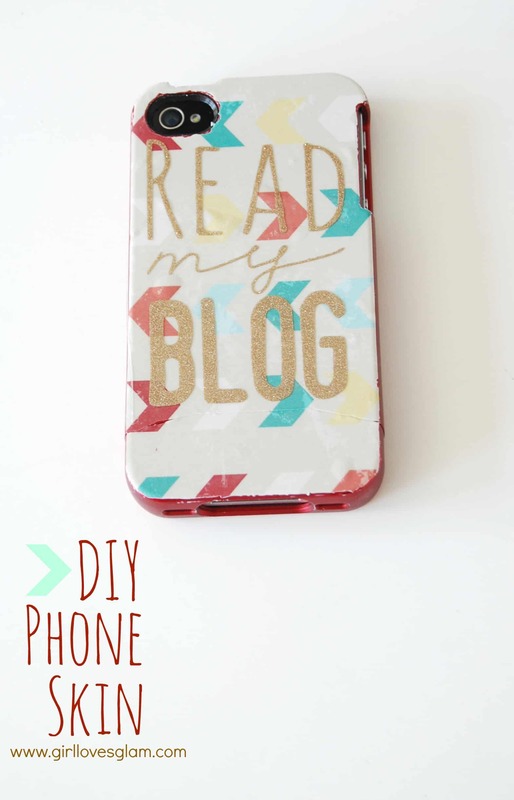 I always wondered how to DIY a phone case! I would LOVE for you to share this over at my link party, Ginger Jamboree! I also have a great giveaway going on that you should enter!